We need ideas for rankings on this forum! 1st place wins 100 mp and their choice of rankings! comp closes 1st of October. Multiverse(Admin) Clan founder. or . Please inform me if there are any flaws in this system. I knows that, just trying to be gender neutral. Very good! However, rankings will be based on points, not posts. Location : Poyo poyo poyo poyo. POYO! Top of the chain- 751- 1500 points. World Leader- 15001- 25000 points. Space Commander- 25001- 35000 points. Elemental Guardian- 35001- 50000 points. The Being of Time- 50001- 80000 points. The Being of Space- 80001- 125000 points. The Creator- Above 125000 points. I'm not sure at what rate points would be earned, so, maybe they could be changed. very good ZigZagas, i tried not to keep mine to strict to the evolution string. 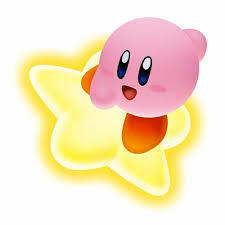 We need a kirby smiley!!! Perhaps talk about this in the general discussion. Ok, guys. shall begin judging!